Wenger is regional medical director for TeamHealth, one of the country’s largest emergency room staffing companies, based in Knoxville, Tenn. But, for many in the profession, that day-in-day-out stress can lead to crippling depression. It’s one reason doctors are far more likely than the general population to die by suicide. 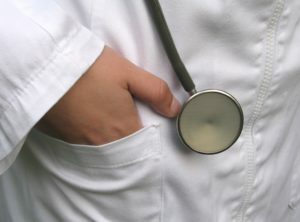 Dr. Jeffrey Zurosky, who is an ER director at Parkwest Medical Center in Knoxville, said he’s concerned for his youngest doctors who start out with a mountain of med school debt, eager to pick up as many shifts as possible. Yet to some in the medical community, the problem is far more fundamental than “burnout.” Pam Wible doesn’t even like the term, since it puts the burden on physicians, as if they just have to find a way to cope. The family practitioner from Eugene, Ore., sees it all starting in medical schools. Entrenched ideals, like muscling through long hours on little sleep, are hard to break. Wible calls it abuse. The family filed a complaint. And being told he might lose his job pushed him over the edge. He swallowed a lethal overdose. But the police found him, and got him to a hospital where he had to be revived. Kaiser Health News and NPR are not naming this doctor because his story could affect his future career. But he said he wishes he could speak more freely, thinking it might encourage physicians to seek help sooner than he did.